Golden Retriever Grooming - What Tasks Need Doing? 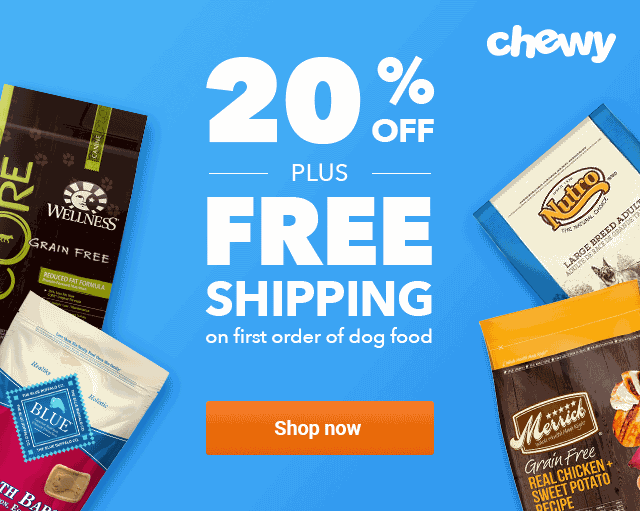 Golden Retriever Grooming – What Tasks Need Doing? I could do with a scrub up! To keep your golden retriever healthy and happy, you need to stay on top of grooming. Just like humans, dogs must be regularly groomed to stay clean and because of a Golden’s long fur, it is essential for preventing matting, which can be painful for your dog and even cause skin trouble. 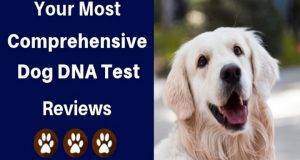 But grooming your Golden Retriever isn’t simply coat care alone, it consists of multiple different tasks, from bathing and trimming their nails, to cleaning their ears and teeth. The guidelines for each of these grooming acts are slightly different and will depend on the activities you do with your pooch on a regular basis and even where you live. 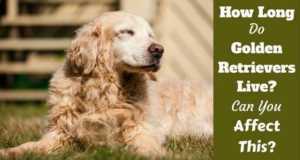 There are still, however, general rules to follow when figuring out how often to groom your Golden Retriever and it’s important not to fall behind as each element of keeping them clean is crucial for different reasons. 6 What Tools Do You Need? You will hear some people say they don’t groom their dogs and they’re fine. This may work for certain short-haired breeds who don’t go outside frequently or get the opportunity to get dirty. 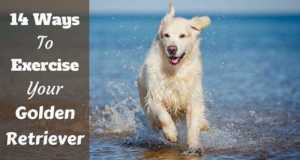 Golden Retrievers, however, have a longer, double coat and love to get outside and dirty. As such, bathing and brushing is essential. Keeping your golden’s coat clean helps prevent them from smelling or tracking dirt inside and also helps toward keeping parasites at bay. Additionally it helps them stay comfortable as dirt won’t be rubbing against their skin. Most breeds of dog need to be bathed about once a month, but your Golden Retriever should take a bath far less frequently. This is because they have natural oils that waterproof their coat and frequent washing can strip away these oils, leading to their coat drying out. You will need to bathe your pooch more often if they have messy habits, such as tramping through mud puddles and mystery rolling or swimming. Also, don’t hesitate to groom your golden more often if someone in your family is allergic to dogs as this minimizes the amount of dander. The important thing to remember about bathing your pup is that there is such a thing as doing so too often. As previously mentioned, frequent bathing strips away the natural oils from your pooch’s coat and this means it will become dryer, making it more prone to mats, frizz, and dandruff. You will also want to cut the frequency with which you bathe your dog if you notice their skin drying out more quickly than normal. You can prevent this from happening by opting for a moisturizing or soap-free shampoo. In addition, it’s very important to get your Golden very dry after bathing, whether by using towels or a hand-held dryer set to low. This helps insure that water doesn’t stay trapped near the skin causing irritation. Goldens that swim a lot will end up with trouble spots because of this moisture. To avoid this, dry them off thoroughly after a swim and make sure to get a brush through their coat to fluff the hair for further drying. While you only need to bathe your Golden Retriever every couple of months or so, you will want to brush their fur out far more frequently. When you brush the fur, it gets rid of dead hair as well as dry and dead skin. It also stimulates the skin surface and helps distribute the natural oils to ensure the coat is healthy and clean. 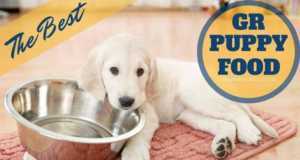 All dogs need to have their fur brushed every few days for these benefits and to prevent matting in a Golden Retriever. If you notice any hair mats, you will want to remove them through brushing as soon as possible. 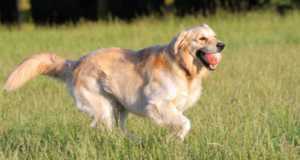 Goldens are particularly prone to matting behind the ears, on the tail, and in the thick feathering on their back legs. Make sure to brush these areas frequently. In addition to bathing and brushing your Golden Retriever, you also want to regularly clean their ears. Try to do this at least once per week as this helps to ensure a healthy amount of earwax – not a large build up – but also not too little. Cleaning your dog’s ears also removes debris and prevents infection. Dog’s inner ears are twisty and curvy, which makes them the perfect environment for yeast, bacteria, and parasites and if debris becomes trapped in these curvy canals, your pooch may get an infection. So it pays to keep them clean. If your dog has an allergy, you may need to clean their ears more often. The same is true of dogs who frequently get their ears wet, either by swimming or playing in the rain. Just like with bathing, it’s possible to clean your dog’s ears too often in which case they will become irritated, so exercise caution. While cleaning your furry friend’s ears, don’t forget to examine the outside as well. This lets you keep an eye out for fleas, wood ticks, and other potential issues. It’s also important to use a dry cotton ball or ear cleaner made specifically for dog’s ears. Many dog owners think of trimming their furry friend’s nails as a way to help themselves. It prevents the nails from damaging furniture and floors or scratching people and trimmed nails tend to look better. But most importantly it’s uncomfortable for dog’s to walk on longer nails. This is because the nails grow out forming a curve, meaning that if they become too long, the toes will start twisting or splaying during walking. Letting this happen is not only uncomfortable, but also leads to a risk of broken toes for your pooch or skeletal damage due to the unnatural gait. By regularly trimming your Golden Retriever’s nails, you can prevent this from happening, cut the risk of scratches or damage, and prevent torn nails. The ideal frequency is to check, then clip if necessary, your dog’s nails every two weeks. One sure sign is if you hear them clicking on the floor, it’s time to give them a trim. Always take the time to inspect the nails before trimming them as it isn’t always necessary to do so. How often you trim your Golden Retriever’s nails will depend on where you live and your dog’s activities. Those who walk on hard ground regularly won’t need their claws trimmed as often, and may NEVER need it. Older dogs, however, will usually be less active or stick to softer surfaces and therefore need more frequent clippings. Not everyone realizes it, but dogs can experience many of the same dental problems that affect humans, such as tartar buildup, gum disease, and cavities. If your pooch contracts gum disease, bacteria may enter their bloodstream, leading to additional health problems. By cleaning their teeth regularly, your Golden Retriever will get used to it so they don’t have to be taken to the vet and anesthetized for the cleaning. It also prevents all of these issues. Experts suggest that you clean your Golden Retriever’s teeth about two or three times every week for optimum dental hygiene and some even suggest daily. Although not technically a tool, shampoo is a crucial supply for grooming your Golden Retriever. Don’t use a human shampoo as it will dry out their skin. You should look for a dog shampoo that’s gentle and designed for routine bathing, even if you will only bathe them once every couple of months or less. If your dog suffers from itchiness or dry skin, it is especially important to select a soothing shampoo with natural moisturizing ingredients such as oatmeal, aloe, and shea butter. Avoid any shampoo with a heavy scent due to the potential for added chemicals and irritation; a mild scent produced by natural oils should be fine for most Goldens. You can also combine flea and tick control by choosing a good flea shampoo for dogs. Effective and trusted for both tasks at hand. As with shampoo, toothpaste is more of a grooming-related product than a tool. Never use human toothpaste in your dog’s mouth. Instead, search for toothpaste designed for dogs or simply rely on water mixed with baking soda. Consider getting a flavored dog toothpaste to make the experience more palatable for your pooch; there are choices such as peanut butter, chicken and liver. You can splurge and buy a doggy toothbrush to make cleaning your Golden’s teeth easier, but if you can’t find one, you can also use gauze wrapped around your finger, a child’s toothbrush, or even a finger toothbrush. Bristle brushes work on all coats and have different sized gaps between bristles. Wire-pin brushes may or may not have rubber-tipped ends and are ideal for pups with woolly or curly coats and medium or long hair. Slicker brushes contain fine wire bristles ideal for getting rid of tangles and mats. Most Goldens have medium or long flowing coats. This means that you should pick either a bristle brush that is soft to medium or a wire-pin brush, opting for one with long bristles that are medium or widely spaced. Keep a slicker brush on hand for tangles and mats at all times. They can develop at any time and the sooner you get them out, the better and easier it is. A solid metal, medium to fine tooth comb is ideal for finishing and lets you know you got all the tangles out before they become problems. Again, pay special attention to the feathering area behind the ears, tail and the under carriage. Guillotine trimmers contain a stationary hole. You insert the nail through this hole and then squeeze the handles so the blade moves up and cuts the nail. Scissors trimmers work like a standard pair of scissors. Simply open them and place your dog’s nail in between the blades and then cut, just like with a pair of scissors. If you don’t feel comfortable clipping your Golden’s nails yourself but don’t want to take him to the vet or a groomer, you can also grind them down. There are items known as ‘Dremel tools’ that will sand a nail in the same way an emery board works on human nails, but it is electric-powered. Keep in mind, however, that you must be careful with this method to prevent split nails and sharp edges, which is why many dog owners prefer traditional clippers. Using a Dremel requires your dog is used to the sound and feel, also that you have the skill to not miss the nail and hit the tender pad of the paw, which will cause damage. 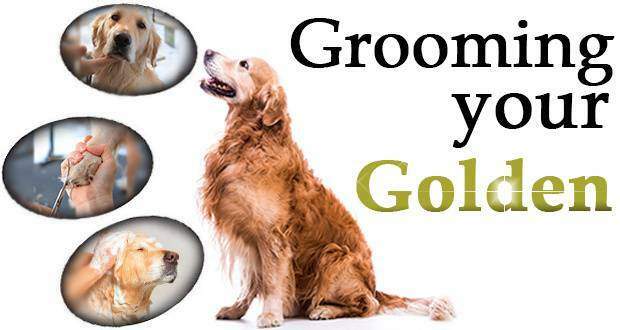 Regularly grooming your Golden Retriever is an important aspect of keeping them clean and healthy. It’s an important bonding exercise for you and your furry friend too! 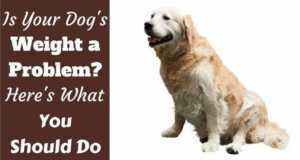 In this article we’ve discussed only the very basics of Golden Retriever grooming, merely introducing you to the subject. We have many more articles to come over the coming weeks where we will go in-depth with actionable content that you can follow along with for bathing, brushing, ear, paw and dental care. Please check back regularly and before you know it, expensive trips to the grooming salon will be a thing of the past as you’ll be able to do it all yourself at home. Previous: Can You Have a Golden Retriever as A Full Time Worker? Hi Kimberly. It depends. I mean, twice a year, the fuzzy undercoat gets shed, or ‘blown’ as some call it. Using an undercoat rake is a very effective way to clear out this dead fur, that will help to keep a lot of it from covering your furniture and carpets, as well as freeing a lot of it from the coat making your dog feel more comfortable. But like many things, they can be easily overused! That’s an article all of it’s own that we’ve not got written though sadly, so I would advise checking on youtube for ‘how to use an undercoat rake’ and watch 3 or 4 videos, to take the best advice from more than one person. You should be OK then.